Welcome back to another episode of Benched with Bubba. On BwB EP 151 Bubba will be joined by Toby aka Bat Flip Crazy. They will talk about some recent news (Vladimir Guerrero Jr injury and Adam Jones to the Backs) and then dig into TGFBI. They'll talk about Toby's strategy, how he won in 2018, break down his Champion's League Draft and much much more. Get all the league results and much more at TGFBI.com. 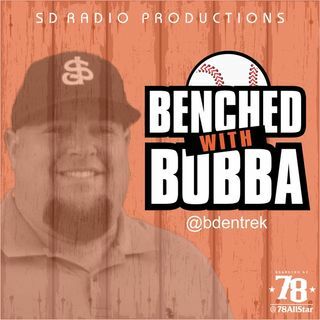 As always, thanks for listening to another episode of Benched with Bubba. ... See More We'd appreciate it if you could give a rating and review on iTunes.